Can your mouth tell if you’re at risk for heart disease? It just may! Researchers have found that people with periodontal disease are almost twice as likely to have heart disease. A recent analysis shows that the potential heart disease risk for patients with periodontal disease may be even greater than for those with high cholesterol. For too many Americans, this reality hits close to home in that more than 85 million Americans have some form of cardiovascular disease, while more than 200 million American adults have some form of periodontal disease. Scientists suspect the link between the two diseases is due to the same bacteria. 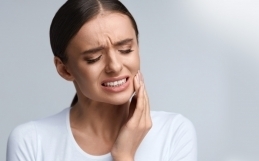 Bacteria found in infected gum tissue around teeth break down the barrier between the gums and the underlying connective tissue, causing inflammation. 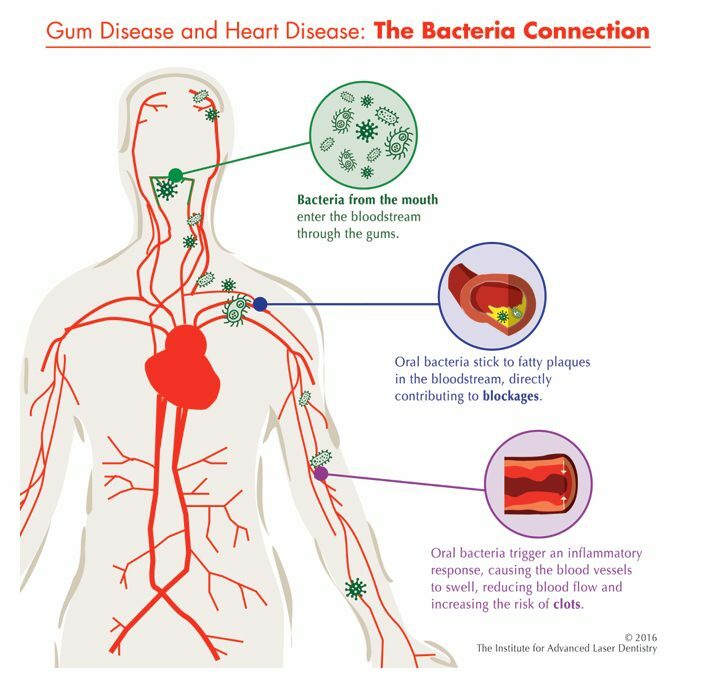 During normal chewing or brushing, bacteria can enter the bloodstream and move to other parts of the circulatory system, contributing to the formation of cardiovascular disease. Given the link between periodontal disease and heart health—not to mention tooth loss and the multitude of other systemic diseases linked to periodontitis—it is important for patients to accept effective treatment. Treatment itself is not enough; treatment must be successful to have an impact. 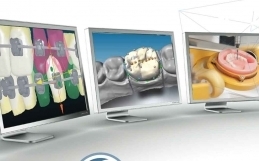 Pure Dental has the most advanced tools in place to inform and treat patients. 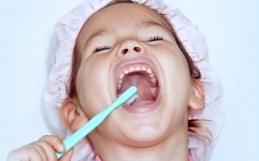 The way to repair damage caused by periodontal disease is to get rid of the infection and close up the pockets. Until recently that meant painful scraping and scalpel-and-suture surgery. Today, our hygienists at Pure Dental offer a patient-friendly, less-invasive laser procedure for effective treatment and helps alleviate patient fear. 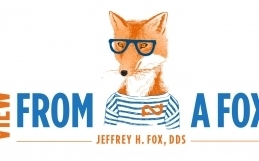 Initial symptoms of periodontal disease are often silent—i.e., symptoms do not actually appear until later stages. Together, we’ll design a treatment plan that will help your heart and overall health.